Split foyer home being sold ~AS-IS~. Possible short sale ~ single bank approval required. 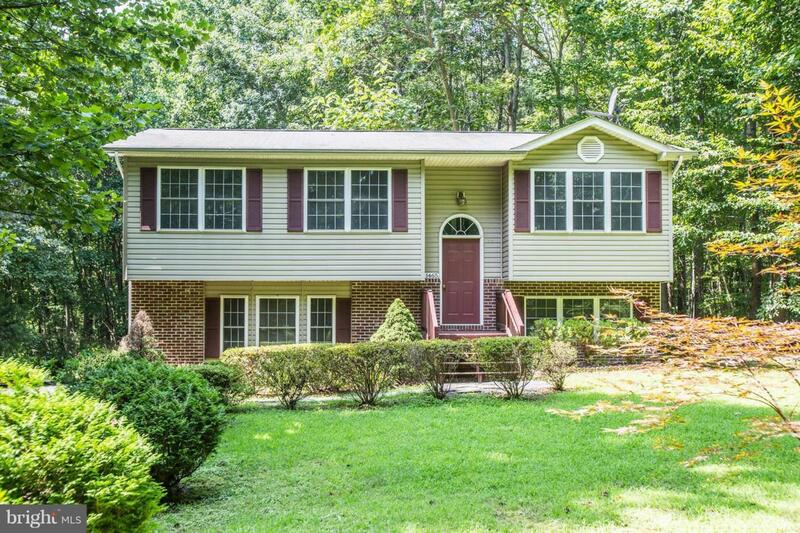 House located on a long drive and enjoys privacy on a wooded 2.8 acre lot. Minutes from Dahlgren Naval Surface Warfare Facility and Rt 301. Lower level is insulated, has roughed-in bathroom, but is unfinished. House needs upgrades and other work. Loads of potential.